April 27 is Sierra Leone's Independence Day. 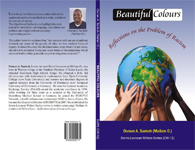 While Sierra Leoneans around the world gear up for the nation's 52nd birthday, here on Sewa News we decided to get into the mood with books in our national colors. 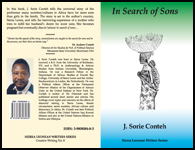 The Sierra Leone Writers Series--like the iconic African Writers Series-- is a series of books and provides a forum for Sierra Leonean writers. Recently, we spoke to the publisher, Mallam O.
Sewa News: The last time we did an e-mail interview was in 2001. 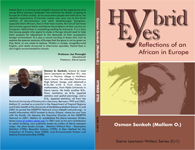 You had just set up the Sierra Leonean Writers Series (SLWS) with publication of two books: "Hybrid Eyes - Reflections of an African in Europe," and "Beautiful Colors - Reflections on the Problem of Racism." How many titles has SLWS published since? Mallam O: We have nineteen titles and several more are in the process. 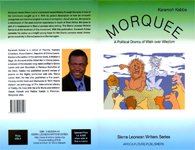 I am pleased with this development because along the line I found people who are even more passionate about and committed to promoting Sierra Leonean writing. 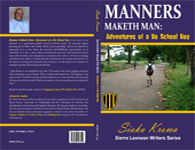 There are several reasons why an author would take his/her manuscript to a publisher. These reasons include the publisher's credibility and popularity of the business. I was quite aware of these things so I wasn't unhappy when Sierra Leonean writers were still publishing elsewhere. Rather, I tried to promote those books on the SLWS website. 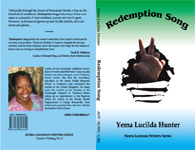 Some of the authors are now asking us to re-issue their books in SLWS. On the other hand, I have had Sierra Leoneans who immediately identified themselves with SLWS and have continued to support the initiative since it was launched. These are equally great people who have submitted their manuscripts to SLWS and others who are on the SLWS Editorial Board. 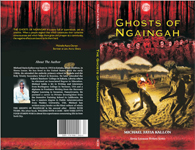 They have seen that it is not about me; it is about creating a platform for all writers of Sierra Leonean origin to publish their books and reach their compatriots. 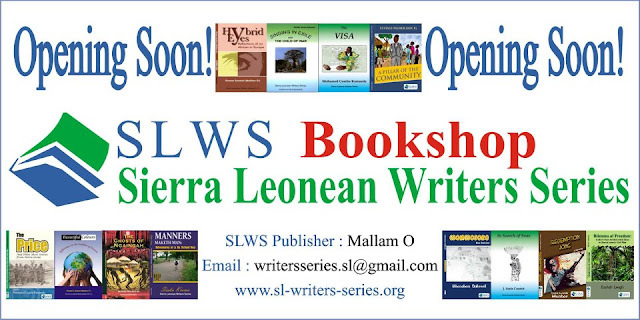 Sewa News: SLWS focuses on fictional, non-fictional and scientific writing by writers of Sierra Leonean origin. That's quite a range. 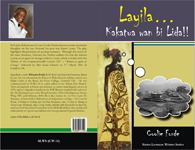 How do you help writers of Sierra Leonean origin to publish their work? 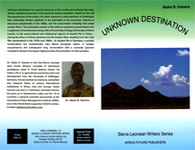 Mallam O: Our mission is to identify, encourage and support writers of Sierra Leonean origin and to publish and disseminate their works in Sierra Leone and the world at large. 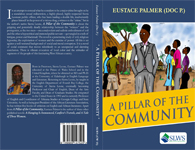 Our strategies to help include: maintaining a vibrant website that attracts writers and readers to our books; establish bookshops in Sierra Leone, collaborate with other associations to promote the books globally, hold book fairs in Sierra Leone and elsewhere to give the authors greater exposure. 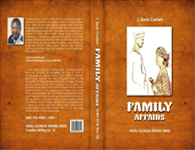 In doing all of this for our authors, our guiding principles are followed religiously. We believe in excellence, transparency, efficiency, collaboration and dialogue. Please visit the SLWS website to see the caliber of published Sierra Leonean writers who have agreed to serve on the SLWS editorial board. These people are volunteers. They peer-review each and every manuscript submitted to SLWS and they advise on suitability. If a manuscript requires extensive editorial work, one of these editorial advisors or someone else, depending on the subject area of the book, is recruited to act as the manuscript editor for a token fee. 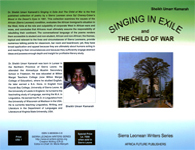 Sewa News: Tell us about the new Sierra Leone Writers Guild (SLWG)? Mallam O: This is a new homegrown initiative headed by Prof. Kosonike Koso-Thomas as president and Dr. Isa Blyden as vice president. 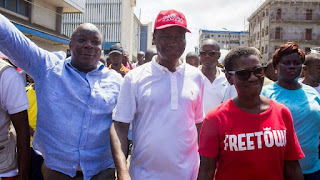 SLWG's secretary is Moses Kainwo. 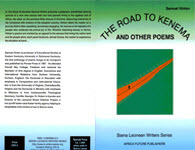 I am very thrilled that there is a committed group of writers in Sierra Leone who have decided to establish this group. It is still at infancy but the group meets frequently in Freetown to deliberate on various issues related to the constitution of SLWG. 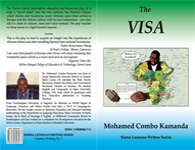 Logically I will be a member because I am Sierra Leonean writer. I will make SLWS attractive to the group and will use our vibrant SLWS website to promote the activities of SLWG. 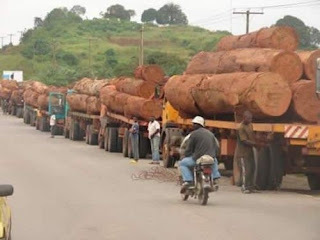 There are plans to organize a public launch of SLWG at the Miatta Conference Center in Freetown in the next few months. SLWS will attend.